New Years cards are boring and our patients at Coolsmiles are special. So, would like to email all of our patients a unique card this year. After seeing the great photos submitted for our “Flatdoc” contest, we felt the you could do it for us. Submit you most creative Coolsmiles 2011 New Years card to coolsmiles@me.com. 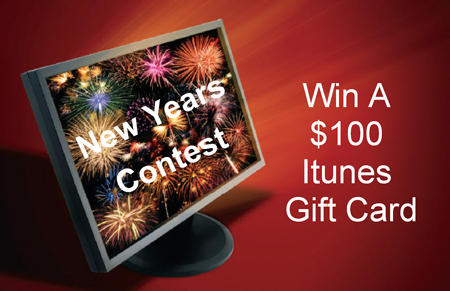 The winning card will be emailed to all of our patients and the winner will get a $100 Itunes card. All entries must be submitted by 12/24/2010. No video please, and all entries must be less than 2 MB in size. For our younger patients, or non-geek adults: Draw and color on 8×10 paper and drop off at the office. If you have any questions contact our office or leave a question below. Does this sound like a great idea!! Let us know below.